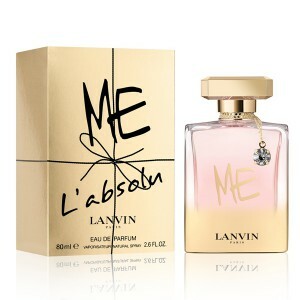 Lanvin Me L'absolu is advertised as a more intense version of the original composition. Lanvin Me L'absolu 80ml. Eau De Parfum is very sensual sophisticated fragrance that is suitable for both everyday wear and for special evening occasions. Aroma exclusive fragrance Lanvin L'Absolu Me to you intrinsically adheres and becomes your indispensable fashion accessory. Beginning women's fragrance Lanvin Me L'Absolu is composed of delicate petals of violets and sweet mandarin. Osmanthus captivating blend of jasmine heart and charming peony. On this unusually sensual aroma followed by precious musk and exotic patchouli. Juicy peach is laid on the warm wood and thus creates a unique atmosphere. The unique composition of carefully selected essence creates a totally unmistakable aroma. Floral fruity fragrance ladies Lanvin Me L'Absolu was launched in 2014. A perfect complement mysterious and adventurous women. Surely also interested in glass flacon fragrance with a precisely shaped cap and wearing his gold chain around the neck at the end glitters charming stone. 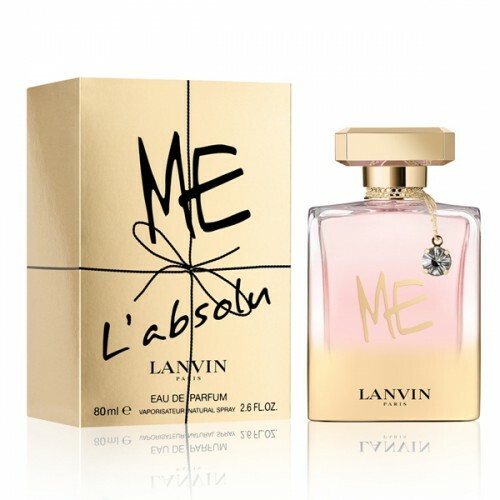 Express your self with a unique women's fragrance Lanvin L'Absolu Me! Autumn 2014 for fashion house Lanvin inlet marked a new fragrance for women Lanvin Me L'Absolu. This beautiful fragrance is announced as a more vivid and intense version of the original fragrance Me, released in 2013. The charm and mystique, a penchant for adventure and a thirst for new knowledge, sexuality and sensuality - traits owner of this amazing fragrance. Inhaling the perfume, you will feel on your skin green violet leaves gradually merge with the freshness of juicy mandarin and audacity osmanthus. The heart of the composition - an ode to femininity and grace: it opens its petals delicate peony flowers and iridescent play of exotic jasmine sambac immersed in a state of bliss. The base of the luxurious woody notes, patchouli, sweet musk peach and heat harmoniously completes undoubtedly a great song. Lanvin Me L'Absolu will be refined and fashionable accessory that perfectly complement the daily image of the girl. He will reveal her sensuality and emphasize the beauty, becoming the final note of the evening ensemble.